Game promotions are so commonplace at the moment that I'd be surprised at buying some form of tech and not getting a free game addon. I've compiled this quick list of current promotions that we're running just in case that extra bit of spice before you order is able to help you decide on which Graphics Card or which brand of Motherboard to get. Game on. Game RTX. 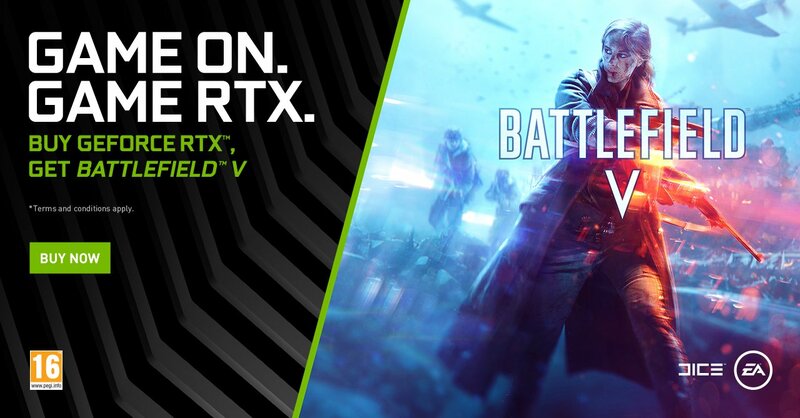 Get Battlefield V.
This is the latest promotion, just launched yesterday (Tuesday 20th November) and it sees you get the brand new Battlefield V Game with any NVIDIA GeForce RTX 2080 Ti, RTX 2080 or RTX 2070 Graphics Card. This is a great promotion for a brand new mega title and if you're in the market for a new RTX Graphics Card this could be the horse that finally pulls your cart. For more information on this promotion check out all the details here. NVIDIA are not only giving away free games with their RTX Cards but also with their GeForce GTX Graphics Cards too. You can get a free digital download of Monster Hunter: World at the moment with GTX 1070 Ti and GTX 1060 6GB Graphics Cards. "In Monster Hunter: World, you’ll hunt gigantic monsters in amazing landscapes while crafting epic weapons to take on even bigger, badder beasts. Upgrade your weaponry with a GeForce GTX 10 Series-powered graphics card and enjoy the ultimate hunting experience." For more information on this Monster Hunter: World promotion check out all the details here. Buy a selected MSI Motherboard before the 31st December and you get a free $20 Steam Voucher from MSI. Details on this promotion are here. 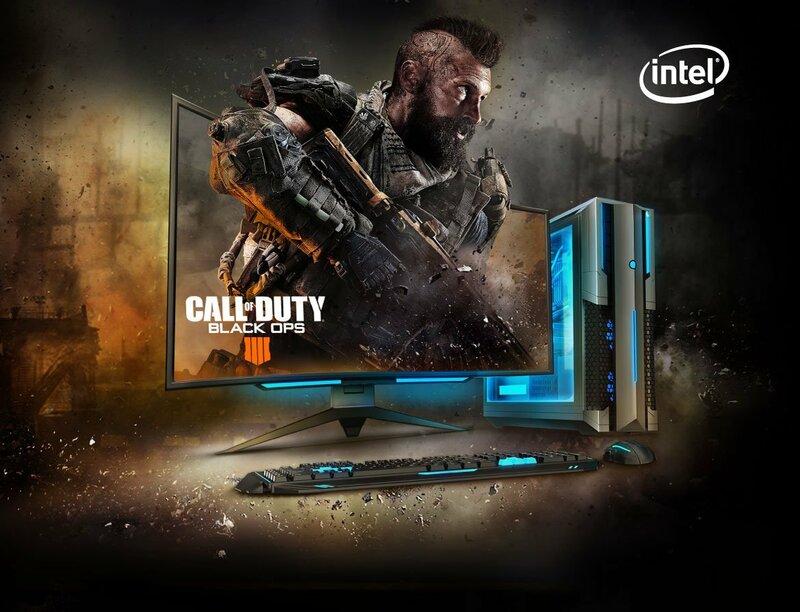 Get Call of Duty: Black Ops 4* when you purchase an eligible Unlocked Intel® Core™ i5, i7 or i9 based Desktop or Boxed Processor, or an eligible Intel Core i7 or i9 H-series Processor based Notebook. WIth Intel Processors such as the brand new i5 9600K, i9 9700K and i9 9900K and also qualifying Intel Powered Gaming Systems you get a free copy of Call of Duty Black Ops 4. This is another mega promo so getting this elite title may push you to get a CPU upgrade earlier than you might've thought. All the qualifying Intel Processors and Systems are here with all the details. Asus are giving away a free copy of Call of Duty Black Ops 4 with qualifying products such as Monitors, Graphics Cards and also their Motherboards when bought with selected Intel Processors. For more information on all the qualifying products and the terms see here.